Home » Mental Health » The Results are in: Does Vitamin D Help with Depression? VitaminD is very valuable in the prevention of several types of chronic diseases like heart disease, diabetes, multiple sclerosis, cancer, and dementia. The use of vitamin D is also important for normal immune function and to control the inflammatory response. Other previous reports looking at the potential benefits of vitamin D have also indicated that it may be helpful in helping mental disorders like chronic depression. More particularly, people suffering from deficiencies in vitamin D were more likely to suffer from the symptoms of depression and experience relief when this deficiency was corrected by takingvitamin D supplements. However, new evidence seems to contradict some previous claims regarding the connection between vitamin D and depression. New research consisting of a meta-analysis of seven studies involving 3,191 subjects that assessed the relationship between the use of vitamin D supplements and the development of depression discovered very interesting results. This analysis found that there was no significant difference in the development of depression between those who used vitamin D supplements and those who did not. However, this study did have several and significant errors in methodology including the fact that only two of the studies included participant who were suffering from depression at the beginning of the trial. It was also discovered that the subjects who were taking anti-depressants and vitamin D were much more likely to experience relief from their depressive symptoms. “Although tempting, adding vitamin D supplements to the armamentarium of remedies for depression appears premature based on the evidence available at this time,” said the author of this new report, Dr. Jonathan A. Schaffer of the Columbia University Medical Center. The best food sources of vitamin D are fish, cod liver oil, fortified milk, yogurt, juice, and eggs. However, most people get the majority of their vitamin D from exposure to UV light rays. The light rays from the sun activate cholesterol molecules in the skin and after chemical conversions becomes the active form of vitamin D.
The average individual may have a difficult time getting the right amount of this vitamin. The average intakefrom food alone can vary between 200-400 IU per day for adults. The recommended intake is between 600-800 IU per day for adults depending upon your age. Individuals who are older, suffer from chronic intestinal diseases, alcoholism, obesity, those taking drugs to block fat absorption, and those who do not get enough sun exposure are at a higher risk of having a vitamin D deficiency. In those who may be deficient in vitamin D, I recommend taking this vitamin at a dosage of at least 1,000 IU per day until your blood levels are normalized. 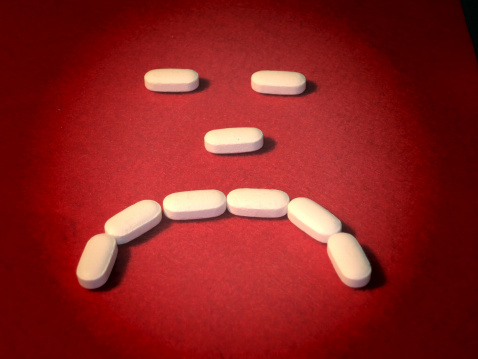 Whiteman, H.,“Vitamin D supplements ‘do not reduce depression,’”Medical News Today website; http://www.medicalnewstoday.com/articles/274295.php, last accessed March 24, 2014. Shaffer, J., etal.,“Vitamin D Supplementation for Depressive Symptoms: A Systematic Review and Meta-Analysis of Randomized Controlled Trials,”Psychosomatic Medicine. March 14, 2014.